← Websters Pages and Tattered Angel Giveaway! 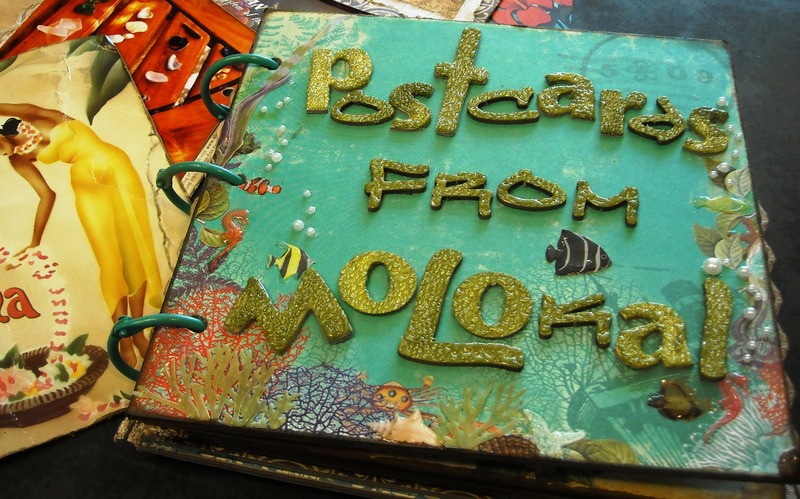 Here’s a couple of peeks at the mini I am working on “Postcards from Molokai”. I was so excited to get working on this and was stalking the mail carrier for my package of new papers from Websters Pages, including the new Seaside Retreat line! 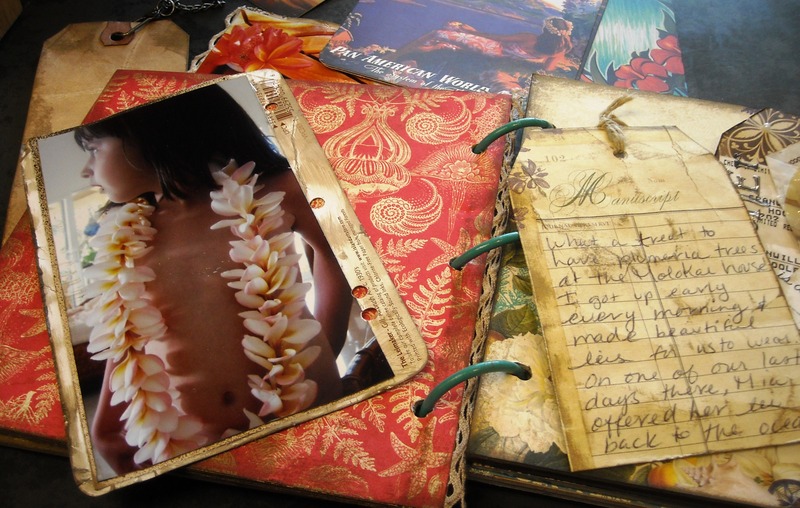 I love the distressed feel of this album and am thrilled at the way the papers mix so well with the vintage Hawaiian postcards I am using in it. I still have a lot to do but this gives you an idea of the direction I am going in. Also, the new challenge is up at Project 52. 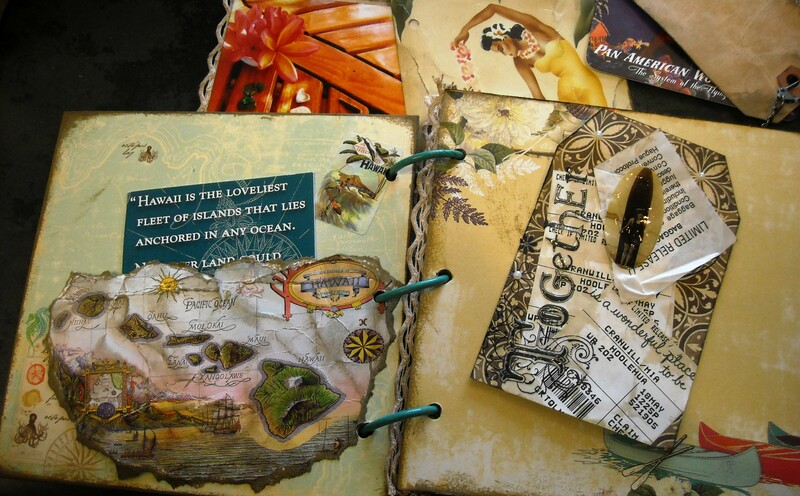 If you haven’t checked out this mixed media challenge blog you should! There’s a ton of great inspiration to be had.